It is a great place to spend the day even if it is not summer if the temperature is good. It is placed next to the north access of Doniños Beach. 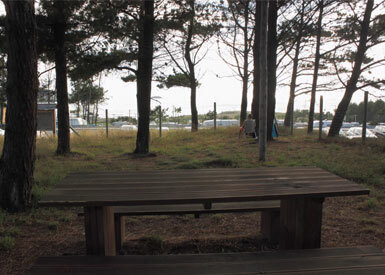 Equipment: tables, playground and a wooden walkway with an adjoining bike path that runs parallel to the beach. In the vicinity of the beach, you can find bars and restaurants on the road. 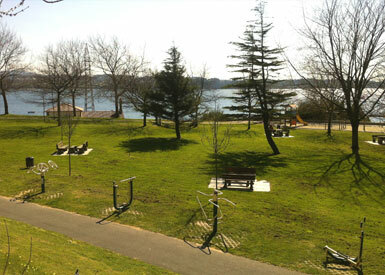 It is a perfect area for children to play, eat a snack and spend the afternoon contemplating the Ferrol’s estuary from the Caranza neighborhood. 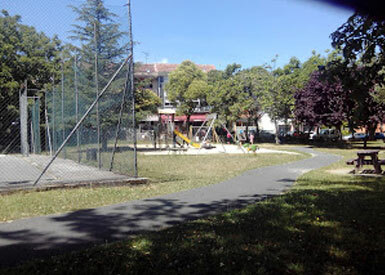 Equipment: wooden benches and tables and a playground area with swings. Bike lane from the center of Ferrol. Bus service. 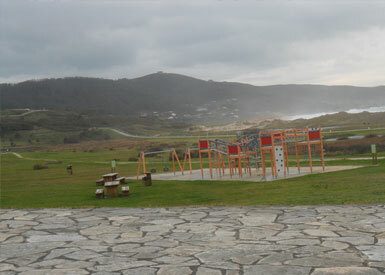 This recreational area is an ideal place to go for a picnic or enjoy the sun in San Xoán de Covas, a few kilometers away from Ferrol in a rural setting. 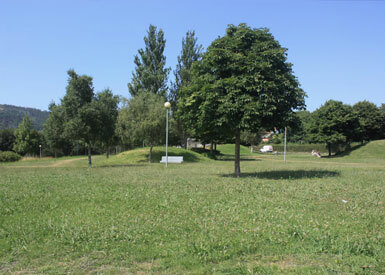 Equipment: benches and tables, fountains, barbecues, litter bins. There is also a camping site 100 m away. To get there, take the road to A Malata and then the one that goes to San Felipe. Equipment: benches and tables for eating, areas of sun and shade, playground, sports field with football goals and baskets. Bars in the area. Equipment: benches and tables where you can take a snack. Bike path in the immediate vicinity.